In the Bob Proctor Living the Legacy Series Napoleon Hill, Bob fills a unique and enormous need in the personal development industry. 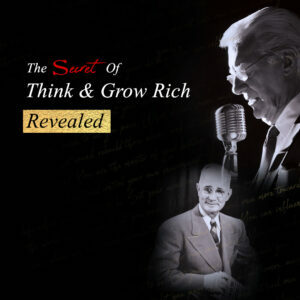 He also reveals the secret golden thread to success that Napoleon Hill wove throughout Think and Grow Rich—the book that is responsible for creating countless millionaires. 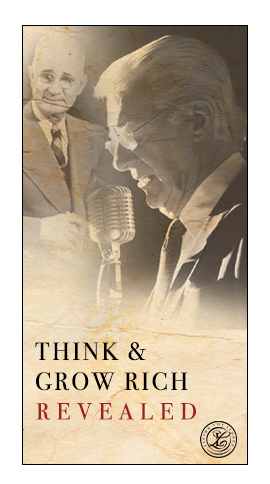 Click here to invest in your HD quality copy of Living the Legacy with Bob Proctor explaining Napoleon Hill’s Think and Grow Rich, today. Living the Legacy makes your success far easier because it doesn’t just tell you what to do; Bob Proctor tells you how to do it. Bob Proctor knows what it’s like to try everything yet achieve nothing. He used the Think and Grow Rich by Napoleon Hill to earn his first millions; he has already trodden the path you need to follow. Unlike any other success guru, Bob has been studying and living the principles of success presented in Think and Grow Rich every day since 1961. Bob Proctor dives deep into each of the 13 principles Napoleon Hill outlined in Think and Grow Rich as no other resource has done before, and he expands on each one by adding his unique insights and experience over 57 years. The information is not only life-changing, but it’s also entertaining and uniquely watchable so you will genuinely enjoy watching it—you’ll watch longer, more often and retain the information better. Anyone who loves Think and Grow Rich but hasn’t quite cracked the code to success… people who have a strong desire for more money to do more good in the world… anyone who wants to improve the quality of their life… anyone who feels stuck and wants to move forward. 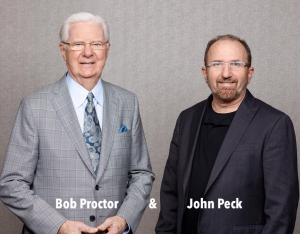 Click on the video below to watch and listen to my Mentor, Bob Proctor, deliver the 45 minute Premier to Living the Legacy. Bob Proctor Living the Legacy Napoleon HillClick here to invest in your HD quality copy of Living the Legacy with Bob Proctor explaining Napoleon Hill’s Think and Grow Rich, today. The trouble with other self-help books & courses is they try to force you into a model that doesn’t work for you. They tell you to see the world the way they want you to see it. In addition, they paint a picture so vivid your soul yearns for it. But it’s often just another illusion designed to lure you into their world. They don’t care if you follow their program or not after you buy it. I am not like any of them. I care and want your success. Unknowingly, they want you to see only what they tell you to see and feel what they tell you to feel. What’s more, they want you to obey unconditionally. Lamentably, they wouldn’t have it any other way. There are much lower profits in honesty and integrity. Certainly, I have walked a mile in your shoes. So, I understand what it’s like to try everything yet achieve nothing. That’s the reason why I know exactly how sceptically you must be viewing this information. Nonetheless, it’s not your fault. Over the months and years of studying the gurus, trying to emulate their success, following their advice, investing in their information, barely a word of truth that transforms has emerged from their mouths. They want to tell you what to do, not how to do it. I will tell you exactly how to do it. Where there’s now a blank canvas, you will see a beautiful painting. Where there is silence, now you can hear a symphony. Reassuredly, this is what it’s like to truly understand the magical power of Think & Grow Rich. Consequently, if your way’s not working, how about trying my way? You don’t need to do this the hard way, because I’ve already trodden the path for you. I’ve paved the way for you to start attracting into your life everything you ever wanted. So, if you feel stuck, like nothing’s working for you – take heart. Click to invest in you.